Melanoma is an aggressive form of skin cancer that can invade nearby tissue and spread to other parts of the body. It develops in the cells that produce melanin – the pigment that gives skin its colour. Normally, cells develop in a controlled and orderly way – healthy new cells push older cells toward the skin’s surface, where they die and eventually fall off. But when some cells develop DNA damage, new cells may begin to grow out of control and eventually, form a mass of cancerous cells. Skin cancer can be treated successfully, especially when it is in the ‘in-situ’ stage, or hasn’t invaded deeper tissues. 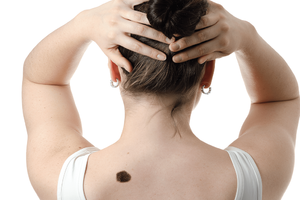 Melanoma can arise from existing moles or in previously normal-looking skin and can appear anywhere on your body. It can also form in your eyes and rarely, in internal organs, such as the intestines. It appears to be increasing in those under 40, and especially in women. Knowing the warning signs of skin cancer can help ensure that cancerous changes are detected before the disease has spread. D: Diameter. Increasing, or more than 6mm E: Evolving. Changes in size, colour, thickness, shape and texture, swelling, redness, hardening, itching, bleeding with no injury, especially over a few weeks or months. 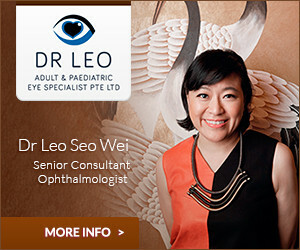 View our Skin Specialist Clinics here.